When Joe Sandy brought all his experience as a furniture sales rep and his lifelong dream of a cabinet shop ownership to Morganton, N.C., he didn't realize how much regional and state support he'd find. Neat and Plain Cabinetry Inc. is located in what has traditionally been one of the largest furniture-making areas in the United States. Sandy has capitalized on the fact that there are many companies still remaining who cater not only to the huge companies, sending trainloads of wood per week there, but also to smaller shops such as his. They have two or three suppliers of lumber for their product all within a 30-minute radius of the shop. One of their biggest suppliers, out of Charlotte, N.C., delivers to N&P three days a week. "That particular company has really geared up to take care of the changes in the market," says Sandy. "They'll supply everything from hinges, drawer runners, plywood, hardwood, and even finishing materials. They have come in and grabbed this market while the bigger wood suppliers in the region are scratching their heads to figure out why they're no longer selling trainloads of wood to their former customers." Sandy gets nearly all of his clients through referrals, including a lot from the New York area, Arlington, Va., and the D.C. Metro area. About ten percent of Sandy's sales are to contractors and the rest to homeowners. He doesn't target the commercial market. When it comes to material resources, Sandy's shop has a ready supply of lumber from this southeastern area of the United States. Despite this, Sandy has tried some of the plywood from China currently flooding the market. "We've attempted to work with it enough times to be convinced that it's not worth using," says Sandy. "The veneers tend to be super thin and are manufactured with a whole different sanding process than North American plywood. You end up with a lot of inconsistency in the face of the veneer. There can be really thin spots you don't know about until you start sanding, then WHAM, you go right through it. We've gotten away from using imported plywood. The price is not worth the headache involved." 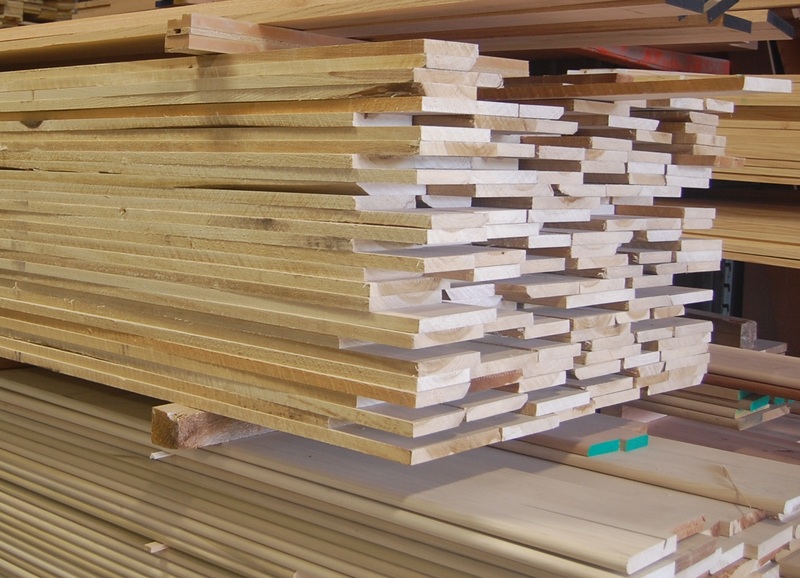 N&P typically uses 3/4-inch plywood material for its cabinets: sides, tops, bottoms and most other surfaces. One-quarter-inch plywood is used on the backs of their cabinets in 90 percent of their applications. The shop sees a great deal of demand for cabinets crafted of cherry and a fair amount of black walnut. Sandy considers maple the catch-all wood: you can do anything with it, paint it or stain it, from black to clear or anywhere in-between. For rustic jobs he uses a great deal of knotty alder because it lends itself well to cabinets requiring a distressed finish. Finishing is not done in their building. Within a stone's throw there are two shops they can rely on for staining and finishing. "It feels real good to be carrying on a tradition in woodworking for which this area's been known for generations," says Sandy, "and even better to know there are still plenty of folks in the vicinity who are pulling for you." N&P has also made use of the help offered through N.C. State's Cooperative Extension Service for Wood and Paper Science. N.C. State offers a free service for helping in all aspects of small business development for various wood industries, including woodworking, by visiting and helping to find any problems and identify areas to supplement sales. 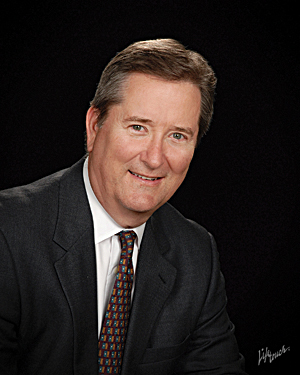 Harry Watt, the agent out of nearby Statesville, N.C., comes from a manufacturing background and is able to help a business create a model business plan to present to a bank if needed. "I feel this service is provided by North Carolina in an effort to keep the businesses traditionally associated with our state, within our borders. That makes both good business and overall economic sense as the wood manufacturing infrastructure is already in place here." Watt organized a seminar for Western North Carolina woodworkers in fall of 2006, held in Asheville, N.C., which allowed woodworkers from different avenues to network. 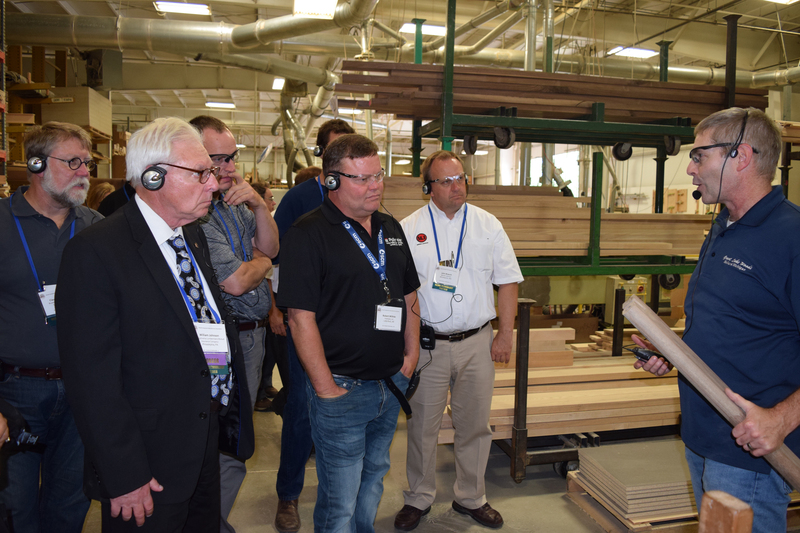 They were able to learn all about the high-end woodworking market throughout the region. "This was custom-tailored for us woodworkers in this neck of the woods," says Sandy. One of many ideas N.C. State posed to N&P was that of using their scrap wood to generate even more sales through the burgeoning growth in wine bottle rack production and sales. It was an article in CabinetMaker on a Texas manufacturer's CNC router that got Sandy interested in calling the cabinetmaker for suggestions on how to run the CNC ShopBot, which N&P had already purchased. The router has made work simpler in many ways. 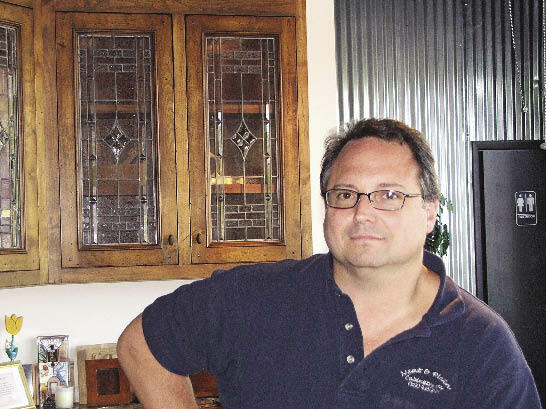 "I have called the Texas cabinetmakers several times for some advice with the machine and they've been a great help, quite willing and accessible with their expertise," says Sandy. "I particularly like the degree of creativity I get to use in my work with this new equipment. The CNC router has pushed us to a different level in which we can do more sophisticated work in a timely fashion." Having the router led the shop to getting a job for nearby Appalachian Woodwrights, ( www.appwooddoors.com ), a company crafting specialty doors. They've hired N&P to cut intricate templates for them to use in their shop for shaping arches, curves and other patterns on five or six jobs. In September 2006, Sandy bought KCDw software to lay out all the cutting parameters and commands for the machine. "I'm still working on that myself in a self-guided manner," says Sandy. But in the interim, the shop's lead man, Pat Walsh, has gone to the basic software included with the ShopBot and laid out parts they can cut with precision. Though the shop is not using the KCDw program yet, it's still taking advantage of the machine's accuracy to cut basic parts and still get some panel optimization. Sandy plans to get the KCDw program up and running within the next quarter. "Despite the typical need for a learning curve with this equipment, we were able to get up and running with our CNC equipment just through our neighboring company giving us jobs," says Sandy. "These were jobs that helped us to start paying off the equipment." The ShopBot equipment frees up time and workloads by working on its own. The vendor has also been very free with its support, Sandy has found. Whenever something goes wrong, which has happened twice, the company has replaced parts at no charge with only a simple phone call. Sandy finds the NorthTech wide-belt sander critical to the shop. "If the wood will fit through the sander, we will send it through," says Sandy. "We sand all of our face frames prior to building a cabinet. It's something I've always liked to do. Some may think that's a bit unnecessary but I find it ensures good, tight-fitting connections in the cabinet itself. We're able to do little things the big manufacturers don't do." They also have a number of shapers for the construction of their unique cabinet doors. The cabinet door clamp equipment has proven essential in squaring and holding the doors together with the proper amount of pressure so that the pin nails may be placed in the joints at the back before the next one is done. "It's good to not be fumbling around with a lot of manual clamps and have doors cluttering up your shop. It was a great investment." With their OMEC dovetail router they're able to construct drawers. Sandy likes the accuracy of this equipment. Though it's still a manual machine, it's set up to do nothing but dovetails. Neat and Plain is in the process of picking up a line of cabinetry to sell out of the shop to supplement its current work. Sandy decided if he could find a small line of cabinets that would meet his standards, then all he'd have to do is worry about installing it. "This wouldn't slow down my production time for those who don't want to wait for something to be custom made."